About Vista de Notre-Dame deste uno de los puentes sobre el Sena. 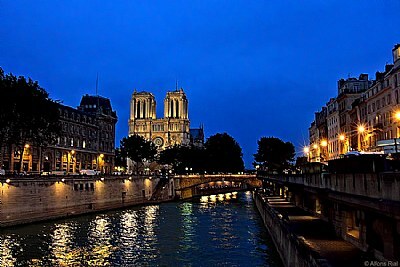 View of Notre Dame from one of the bridges over the Seine. Muchas gracias, Jan! Y felicidades por tu premio! Muchas gracias Ayan! y felicidades por tu premio. Muchas gracias, Srna. Y felicidades por tu premio! A beautiful evening shot of Notre Dame and the surrounding area. Congrats on the well deserved awards. A wonderful shot, very pretty Alfons. The only pictures I have of Notre Dame's facade were taken with my iPhone because my camera battery ran flat from taking too many photos inside. Magnificent Alfons, well deserved awards, congratulations.